Kathleen Parker: Can there be a charitable reading? Naturally, the line seemed providential — if you happen to be a columnist. Did he say dung heap? Of course, the difference between “dung heap of humanity” and “s-hole,” as Donald Trump recently described countries of origin for unacceptable immigrants, is about the width of a sheet of bathroom tissue. Trump’s comment has been analyzed to within an inch of its life, with most commentators concluding that this was simply another example of the president’s racist attitudes. It is only because of Buckley’s “dung heap” and Trump’s “s-hole” that I noticed the similarities in their immigration views. Buckley would surely never use Trump’s word, partly because he thought insults should be more artful. For those who slept: At an immigration meeting last week, Trump reportedly said that he didn’t know why we were accepting people from “s-hole countries” such as Haiti, El Salvador and all the ones in Africa, where people coincidentally tend to have darker skin than Trump. He cited mostly white Norway as a better place from which to cull new citizens. The inference, of course, is that Trump is pigmentation averse. Or, racist, if you prefer. This conclusion is a low hurdle to leap given Trump’s history spearheading the birther movement against Barack Obama, as well as his having tossed racial chum to his base throughout the campaign. When Trump’s ratings go low, his race baiting goes high. Nevertheless, for the sake of argument, it isn’t necessarily racist to concern oneself at all with the qualities and characteristics of people one invites to join the American experiment. Or, is it? Shouldn’t we care about job skills, education, economic mobility, or, if you’re Buckley, a deep understanding of what it means to be a free people? Perhaps, we are becoming culturalists rather than racists. Buckley’s proposition, which I’m not endorsing, is that when a critical mass of people, if not yet a majority, comes to the U.S. from countries that don’t have a “heritage of doctrines of personal freedom … along with the desire to stand tall on our [sic] own two feet,” we might easily revert to the status of “serf dependent on the lord” or, in contemporary America’s case, on Big Daddy. Loose translation for the Trump crowd: Bring in people looking for a handout and Democrats will ruin the country. Buckley, who spent the last third of his life running the Buckley School of Public Speaking, a modest think tank (still operating) where conferees are taught to think and therefore to speak more clearly, enjoyed debating the proposition that Americans unconsciously hanker for a king, a strongman, or a ruling elite. Do you suppose this is what President Trump meant to say with his blurt? But I jest. Such a presumption would be a charitable stretch. It may be charitable as well to presume Buckley’s better angels were at work. For within his own arguments — and in Trump’s febrile mind — is an implicit lack of faith in another American idea articulated by George W. Bush. Freedom isn’t a gift from us, he said, but rather God’s gift to humanity, which can be understood to mean that the yearning for liberty, independent of all other concerns, is entwined in the hearts and souls of all people, regardless of which “s-hole” they were born in or from which dung heap amidst rotting vegetables America’s earliest immigrants escaped. 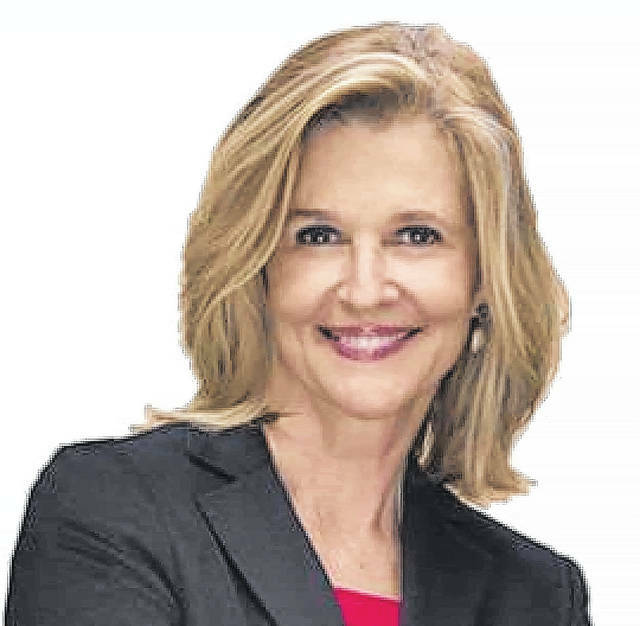 Kathleen Parker is a columnist for the Washington Post and can be contacted at kathleenparker@washpost.com. Her column does not necessarily reflect the opinion of the The Lima News editorial board or AIM Media, owner of The Lima News. This entry was tagged Parker. Bookmark the permalink.